Signco Kansas City street pole/boulevard banners make a strong statement. Not only highly visible, pole/boulevard banners are perfect for welcoming people to your community, customers to your business, or spread holiday cheer to the streets of your town or city. People driving by can’t help but notice custom banners hanging from the street lights. 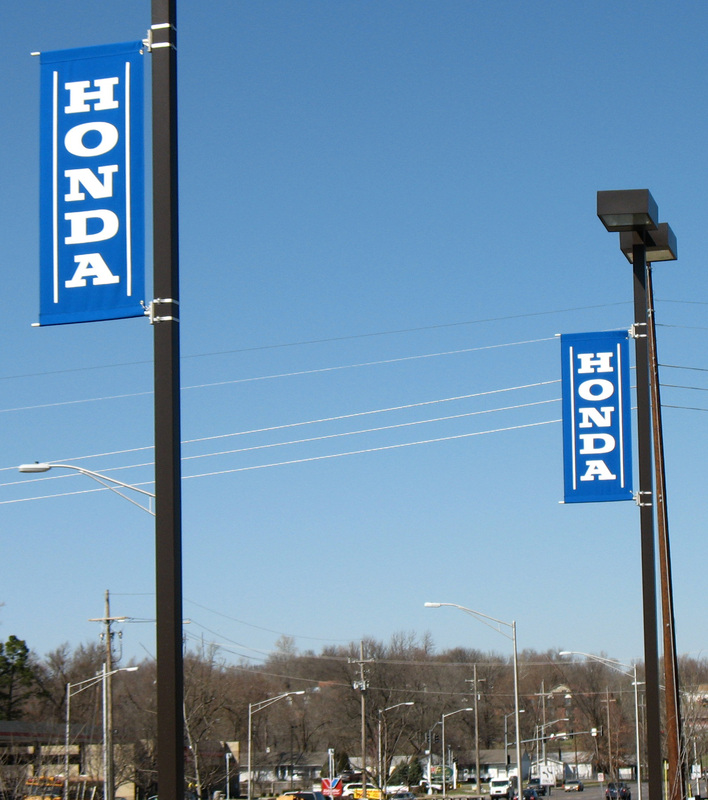 Pole/boulevard banners are also perfect for parking lot lights, either advertising businesses or holiday cheer inside a mall or plaza or deals and cars on a auto dealer lot.